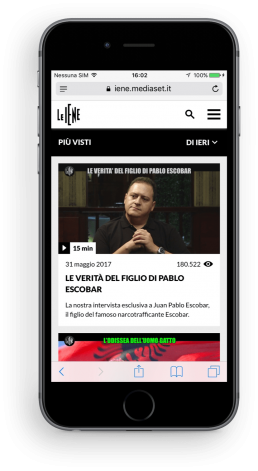 “Le iene” is the first Italian website completely developed with the AMP technology. 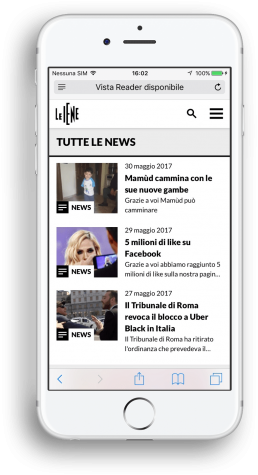 It consists of HTML, JS, and cache libraries that, with specific extensions and AMP-focused properties, accelerate load speed for mobile pages, even if they feature ‘rich’ content like infographics, PDFs, audio or video files. The AMP pages load between 15% and 85% faster then a non-AMP page. Since the mobile users usually abandon a website that takes longer than 3 seconds to load; as such, businesses that adopt AMP could help to drive mobile abandonment rates down and increase conversions. 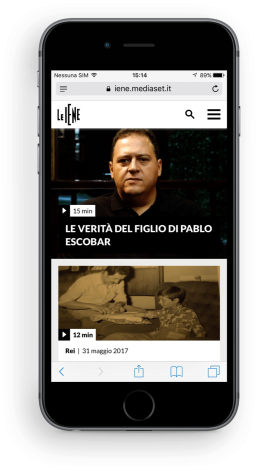 Our team in Milan improved “Le iene” website in only few weeks, being able to bypass some technical limits, to provide a much better experience for the web site visitors.